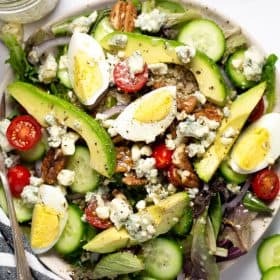 Do you have 20 minutes to make a healthy lunch for the week or a quick side dish for your next family barbecue? 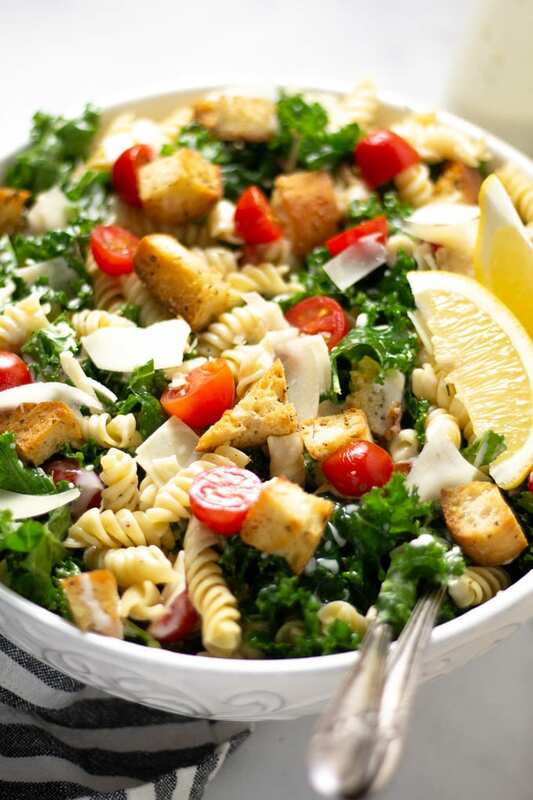 Take a break from the classic mayo-laden macaroni salad and make this quick, easy, healthier Kale Caesar Pasta Salad! 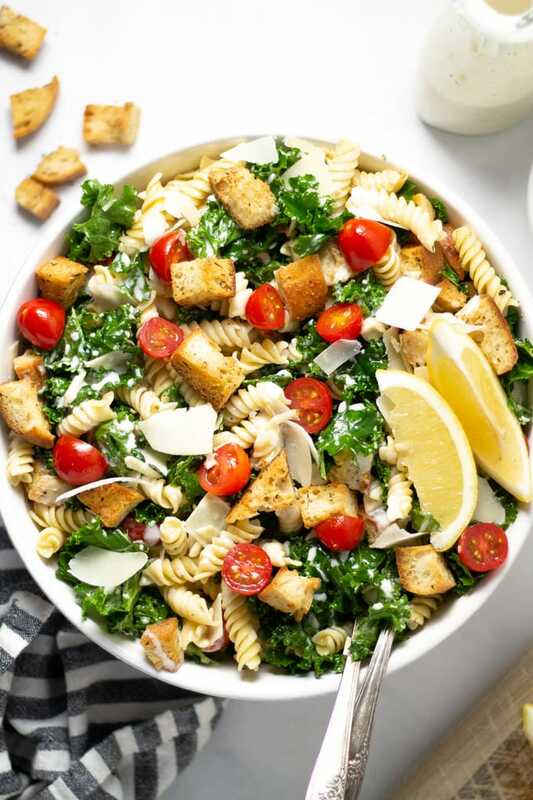 How do I make a Kale Caesar Pasta Salad? Well first you should start by making my super easy Homemade Croutons. They only take 20 minutes to make (and 15 minutes of that is baking). Let the cooked pasta cool to room temp and then it’s time to assemble! Tear kale from the stems and rip into bite size pieces. Then add olive oil. Next squeeze the juice of a fresh lemon over the kale and get to work massaging it. This is going to take away the bitterness of the kale and help it to wilt slightly, making it even more delicious. Then add noodles and tomatoes to the salad. Next add croutons and Parmesan cheese. Toss the salad a bit. Then add dressing and toss to coat everything evenly. 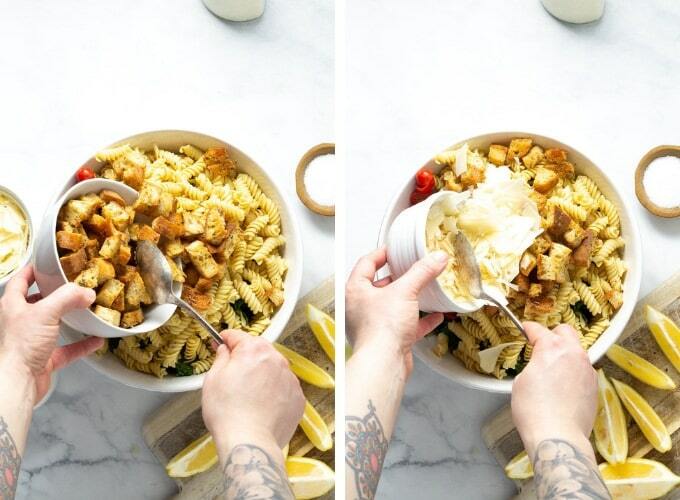 Garnish with a sprinkle of Parmesan and a couple fresh lemon wedges and serve! 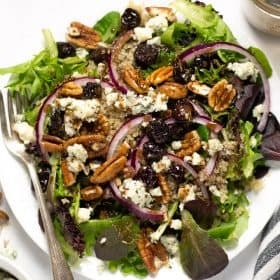 Is this kale salad good for meal prep? 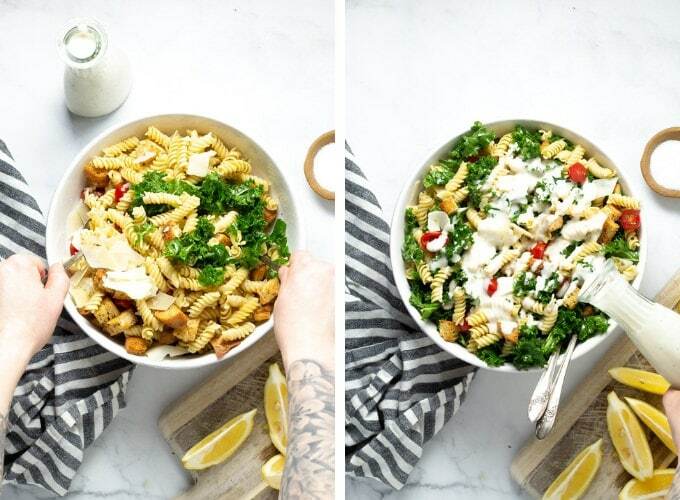 YES – If you’re a regular around here you know how much I love a good pasta salad for my weekly meal prep. 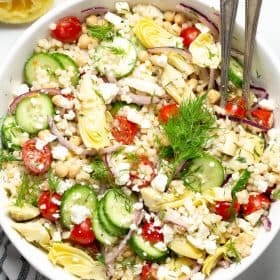 Some of my fan favorites include the Mediterranean Couscous Salad, Mediterranean Pasta Salad with Dill Pesto, and who could forget the Vegan Sesame Ginger Pasta Salad! I make a big batch on Sunday and portion it out for lunches all week. A couple hours in the kitchen on the weekend means I spend a lot less time in the kitchen during the week. Which also means I get to spend a lot more time outside enjoying this sultry summer weather! 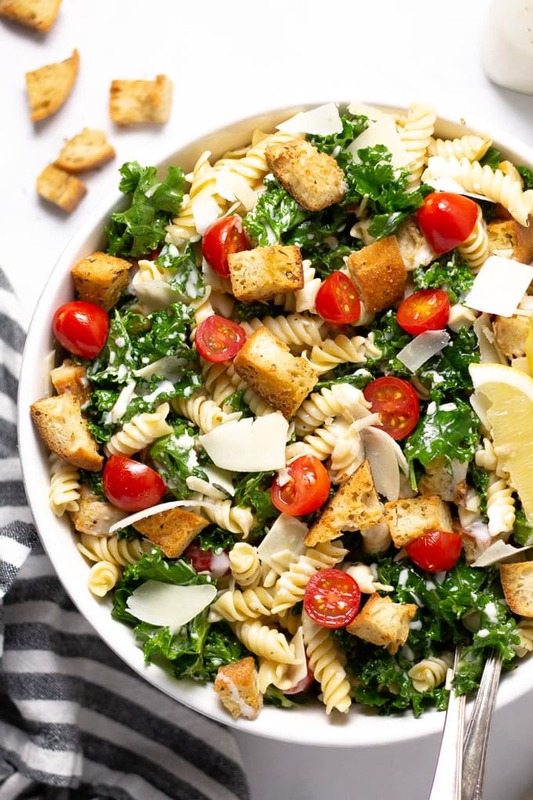 Is this Kale Caesar Pasta Salad healthy? I can already hear you health conscious foodies telling me that there is nothing healthy about a Caesar salad. All that cheese, that high calorie dressing. But hear me out! This salad has kale in it guys. And that’s a super food, right? Even more super is that it’s massaged with olive oil and lemon juice until it’s soft, wilty, bright green and delicious. Then, instead of traditional caloric Caesar dressing, I like to use Bolthouse Farms Caesar Parmigiano Yogurt Dressing. 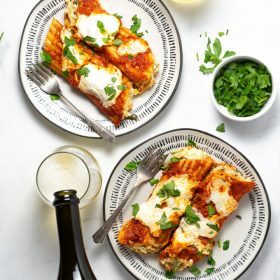 It’s got that peppery, zingy Caesar flavor (and even little bits of shredded Parmesan) but they use yogurt as a base which makes for an astonishing 45 calories per 2 tablespoons!!! Note: this is NOT sponsored. I legit love their dressing and feel the need to share it with everyone. 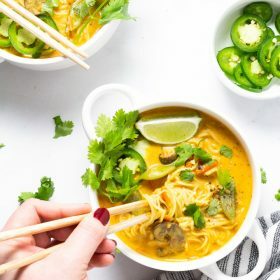 You could also use whole wheat noodles to up the fiber content. 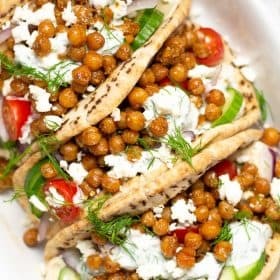 And even add some chickpeas, white beans or quinoa for added protein. Making your own croutons instead of buying prepackaged ones, ensures you won’t be getting any unnecessary preservatives too! After you cook and strain your noodles, toss them in olive oil and add a little pinch of salt and pepper. 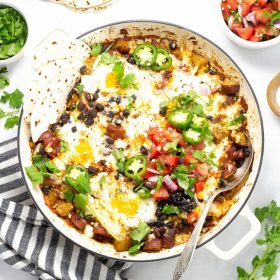 This will keep them from sticking together and give them a little boost of flavor. 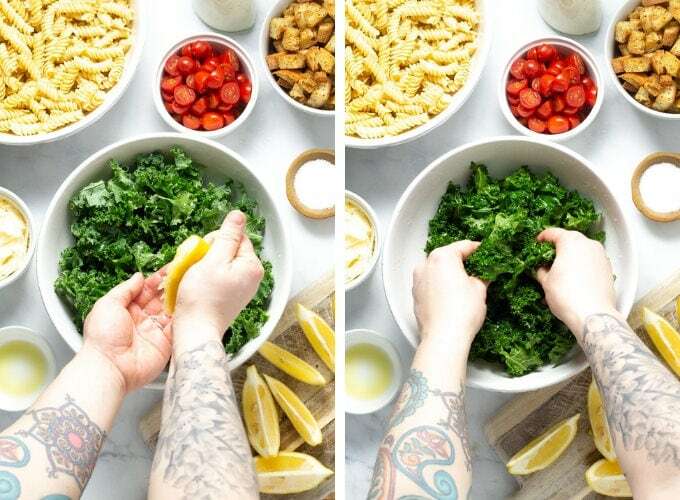 Massaging the kale is key! The lemon juice and olive oil will work in combination to wilt the greens and make them tasty, bright and full of flavor. 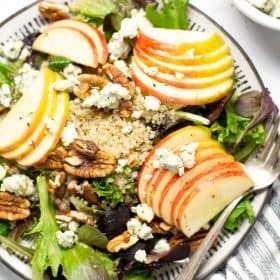 If you won’t be enjoying this salad right away, save the croutons for later! Although my homemade croutons do not get as soggy as store bought, they will eventually get soft when left sitting in dressing. 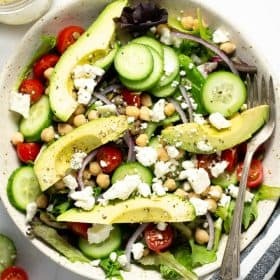 If you’ll be eating this salad later, simply wait to add the croutons until just before serving. 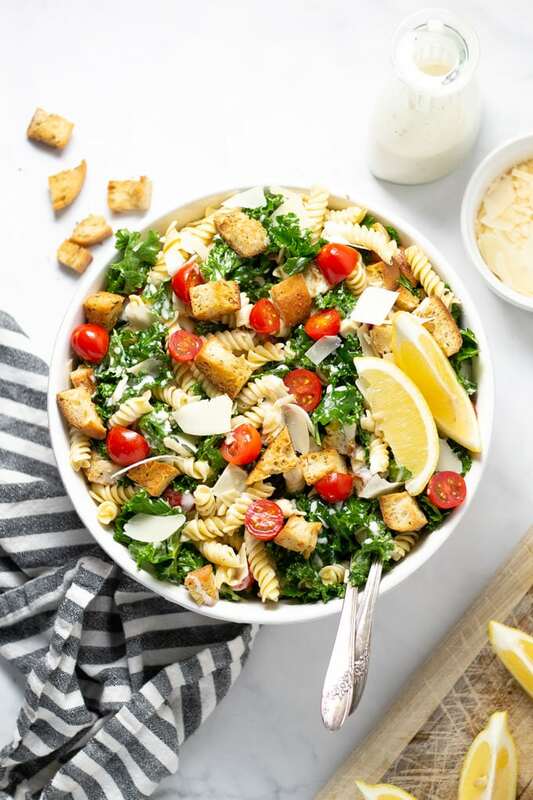 This pasta salad is loaded with kale, cherry tomatoes and Parmesan cheese, tossed in a low calorie (but very flavorful) yogurt based dressing! Cook pasta according to package directions, until al dente. Toss it in olive oil and season with salt and pepper. 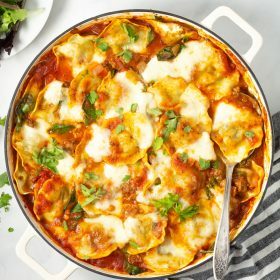 Let pasta to cool to room temperature. 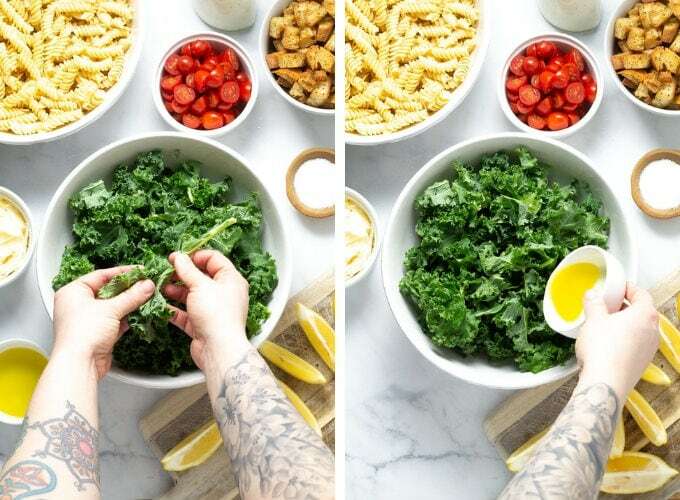 Add kale to a large serving bowl. Drizzle it with oil and lemon juice. Massage kale for a few minutes until it wilts and turns bright green. 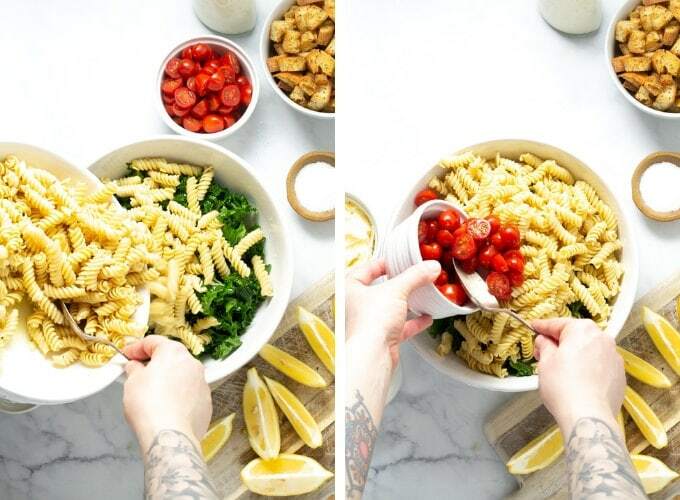 Add noodles, tomato, croutons and Parmesan and a large pinch of salt and pepper to the serving bowl. Toss slightly. Mix Caesar dressing with a splash of water to thin it out a bit. 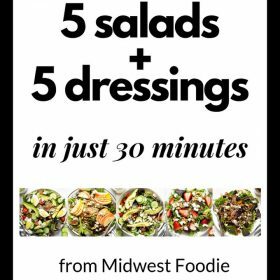 Pour dressing over salad and toss to coat everything evenly. 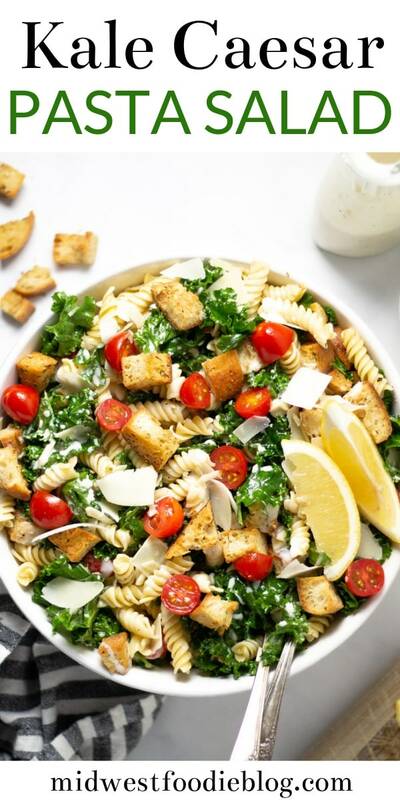 Garnish with a sprinkle of Parmesan and lemon wedges and serve! 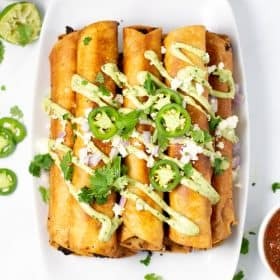 This recipe was originally posted in July 2018. 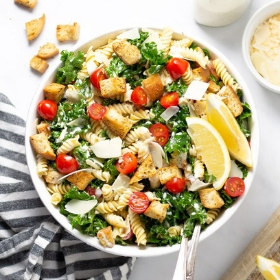 It was updated in March 2019 to include process shots, step by step instructions and tips for making the best Kale Caesar Pasta Salad every time! 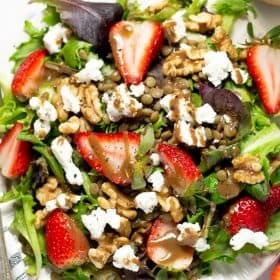 Such a refreshing dish in the dead of winter!! Thank you for sharing!! This is a stunning dish! 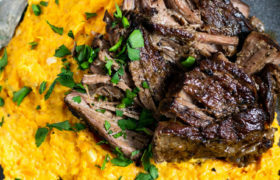 LOVE the colours, and the flavours sound beautiful. Can’t wait to try! I definitely eat with eyes, so I love adding lots of colors and textures whenever possible. 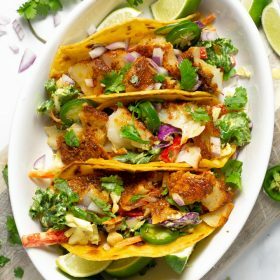 You will love this recipe Alexandra! 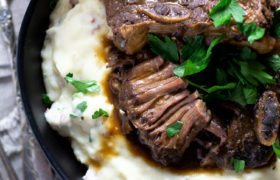 I made this recipe today, and like everything else I’ve made from this blog, it is delicious! 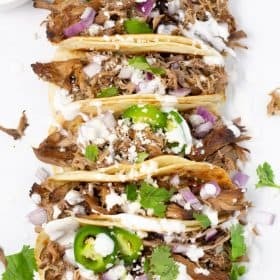 I added shredded chicken as well.